What taxes do I pay when I sell a rental property in Battersea and Brixton? The rental market in both Battersea and Brixton continues to grow in strength. But government measures to tax the income landlords can make from rental property has led to Eden Harper receiving an increase in enquiries about the tax payable when selling second homes. Here, we run through the tax payable when selling a rental property in Battersea and Brixton. Capital Gains Tax is payable on a portion of profit earned on a property that is not your primary residence. If you are gifting the property to a husband, wife, civil partner or charity, however, you are not liable to CGT. Everyone is entitled to tax-free capital gains, worth £11,100 in the 2016/17 tax year. Only gains above this amount are taxed. To work out how much CGT you will have to pay when selling a rental property in Brixton or Battersea, deduct the price paid for the property from its market value at the time of its disposal. Please note that the HMRC will not reduce its CGT demand if the property is sold for less than its market value. However, the taxman does allow vendors to deduct both buying and selling costs from the amount of property profit liable for CGT. This includes estate agent and legal fees plus any stamp duty that was paid when you purchased the rental home. If, for example, you have had two sets of replacement windows installed in the property during the time it has been in your possession, only the cost of the set of replacement windows remaining in place at the time of sale can be used to reduce your CGT bill. As Eden Harper reported, Chancellor George Osborne used his 2016 Budget speech to reveal the higher rate of CGT is being reduced from 28% to 20%, while the basic rate will fall from 18% to 10% but will remain at the old rates for investors who sell residential property. When it comes to property sales, CGT is charged at 18% for standard rate taxpayers and 28% for higher rate taxpayers. This is payable on any profit earned on the property minus your £11,100 CGT Allowance and other reliefs available. Tax specialists point out that CGT is only charged at 18% on the amount a seller has available in the basic rate band (£11,000 to £43,000). Given the size of property value increases in Brixton and Battersea, the basic rate band is often used up and the majority of the gain ends up taxed at 28% even if the taxpayer is a basic rate payer for income tax. Therefore, the rate you will pay depends on the size of the gain and not just whether or not you are a basic rate taxpayer. It is worth bearing in mind that tax relief is available if the property was a business asset or occupied by a dependent relative. Letting Relief is available if you were subject to tax on your rental income. Lettings Relief can reduce taxable gains by up to a maximum of £40,000 per owner. If the rental property has two owners, up to £80,000 Letting Relief is available. But beware that the HMRC forbids landlords selling a rental property in Battersea or Brixton to claim more Letting Relief than Private Residence Relief. Final Period Exemption means the final 18 months of your period of ownership always qualify for CGT relief, regardless of how you use the property in that time - as long as it has been your only or main residence at some point. Please note that owners of rental properties in Brixton and Battersea who are non-resident in the UK will only pay CGT on the gain made on the property since 5 April 2015. 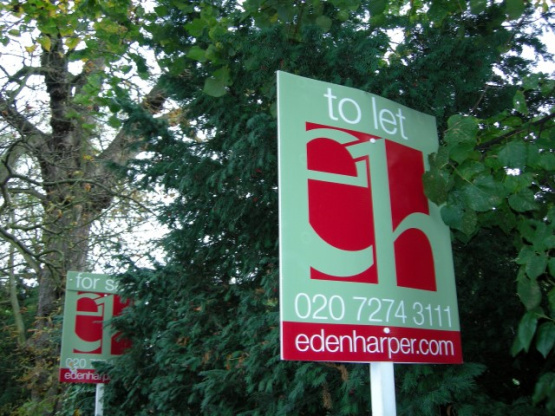 When selling a rental property in Brixton or Battersea, the fees charged by Eden Harper, your legal representative and any other third parties involved in the sale will be subject to VAT, which is currently charged at 20%. Stamp Duty is not payable by vendors. Only purchasers pay SDLT, and anyone buying a second home in Brixton or Battersea has to pay an additional 3% surcharge in addition to the fee paid by purchasers of a primary home. For more details, click here. The content of this article is for general information only and doesn’t constitute professional advice. Anyone acting on this information does so at their own risk and Eden Harper does not accept any liability. This is why Eden Harper strongly recommends anybody selling rental property to seek tax advice from a suitably qualified professional. 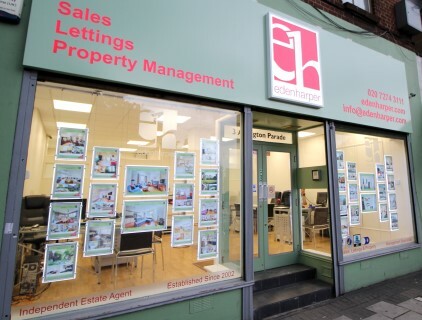 As an independent estate agent, Eden Harper helps maximise the value of each and every property we market for sale in Brixton and Battersea. If you are considering selling a buy-to-let investment or primary residence, contact us today for an up to date valuation of its market value.